‘DID GOD REALLY SAY?’ – THE BIG LIE, DECEPTION AND THE BRAIN LIZARD | Connecting with You! No one likes lies and being lied to. Lying indicates trickery and deception. We teach children the value of truth and that one’s word is to be regarded as a person’s bond. We teach them never to lie and as parents we set examples. Unfortunately because of sin, lying and lies are part of the human nature resulting in broken or unfulfilled promises. Parents have to warn their kids about this too. Lying is not of God! Wonders (2 Thes. 2:9). Note this one well, gullible Pentecostal/charismaticoriented Christians. Test everything (as Dr Jim McClure teaches*)! ‘Lying’ – that’s shehkar in the OT Hebrew – indicating falseness, sham, untruth, wrong, deceit, feigning. The NT Greek pseudos says it all in one word – falsehood! Conversely the Hebrew word for ‘truth’ is emeth – stability, certainty, trustworthiness, assurance, serenity and the Greek alethesia in a nutshell indicates something that is trustworthy! • ‘God can’t stomach liars; he loves the company of those who keep their word’ (Mge). Strong language from the God of love who cares protectively for his new creation of blood-washed Christians – the church of his Son, Jesus. Take this revelation back to the beginning of our troubled time: Genesis 3 tells us that God had instructed Adam and Eve that they could enjoy the delights in the Garden of Eden with the exception of one particular tree. But the cunning, deceitful, lying devil, Satan, got to Eve and subtly hinted (‘hissed’? ), ‘Did God really say you must not eat …’ (verse 1, emphasis ours). Didn’t sound like a lie, merely a casual question – such is the subtly of deception! It’s been said that one lie often follows another. Satan’s next deceptive lie was to casually infer God is a liar because he had warned his creation about impending death if disobeyed: ‘That’s not true; you will not die’ (v4). The rest, as they say in the classics, is history! Unfortunately Eve – and Adam (who should have known better and protected his wife!) – sampled the forbidden tree. Result: Disobedience and sin entered the world followed by so much heartbreak, evil, sickness, sorrow, murder, wrong decision-making and worse still spiritual separation from God (Gen. 3:22ff)! The reality of many problems is that Satan loves to get into our minds, slither around like a lizard, sowing all kinds of rubbish, downers and deceits that we fall for! We’ve just celebrated Christmas, recalling the fulfilment of God’s promise to send Jesus, the answer to Satan’s handiwork, deception and lies. Come March it’s be great to welcome Easter – the greatest celebration of all when we recall how that same Jesus became our Saviour on Calvary’s cross and gloriously, rendered ‘powerless him who had the power of death’(See Hebrews 2:14-15). He displayed his authority over Satan the deceiver and liar of his power! One day (note: despite deceptive so-called prophecies, no one knows when! Matthew 24:3), Jesus will return, put everything right that’s wrong and the devil will finally be removed from further lying deceptions. Part of this overcoming is discerning what is of God and what isn’t, what are real truths and what are subtle lies. And especially refusing to listen to not only Satan’s cunning temptations to sin but to his lies regarding ourselves, ministry, marriage, life itself, future, security in Christ, prophetic words spoken over us and God’s precious promises. Satan, the Garden of Eden’s deceiver (Revelation 12:9), was named ‘the most cunning serpent’ in Genesis 3:1. The GNB version calls him a snake – the Hebrew word nashash (relating to hissing). Snakes, serpents, lizards are normally regarded as reptiles that crawl or slither around and one should be so wary of them. Christians can easily image Satan slithering around inside our head trying to delude, deceive, annoy and upset us with lying thoughts, temptations, downers and destructive ploys. Let us be really personal at this point…in last July’s Encouragement, we shared about my (Robert’s) unexpected urgent need of a heart operation last May. It all worked out miraculously as we prayed in tongues (check later comments about his exercise) and without any concerns or worrying, trusted the Lord completely. But then began a lengthy time of recuperation. This recovery time is still continuing unfortunately, with a few recent disturbing incidents, inabilities and hindrances such as a sudden aversion to particular loud noises including certain church worship music! (I confess that I’ve had to back away from certain scenarios, even leave church, as my heart would begin pounding and I would think the worst). Nor would I want to be in certain other places either, walk for long, hose the garden without easily tiring, or be in the company of some people, or have to make certain decisions. One of the things that is not fully explained to those who are in heart operation recovery is the very deep and unexpected psychologically emotional effects that can hit unexpectedly! To be truthful I was beginning to wonder ‘What’s going on: Is this the end of our kingdom ministry?’ Yet deep down we were both holding on prophetic promises from God that 2016 would be an eventful year of further extended ministry for us. At one point I sensed the Holy Spirit whispering (not hissing like the enemy! 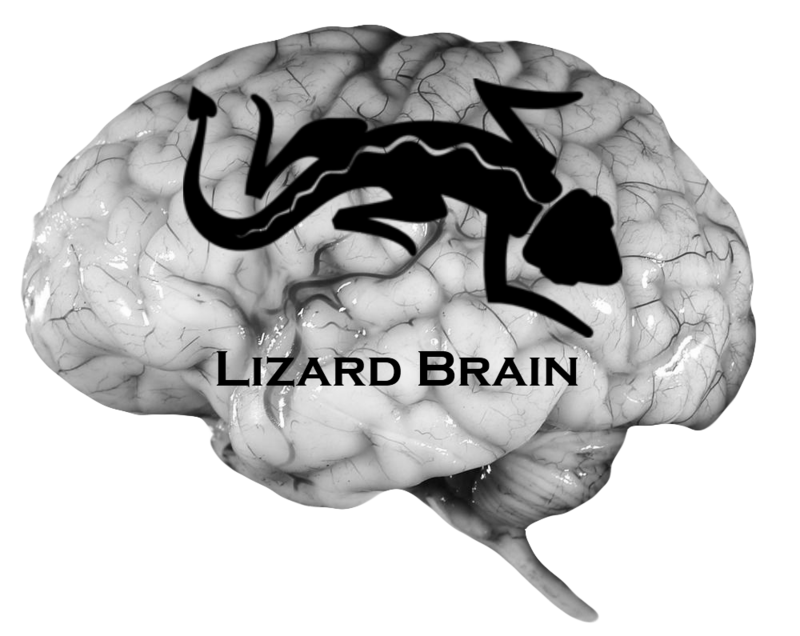 ), ‘What’s trying to get into your mind, Robert, is a lie, a big lie from Satan, Don’t accept it.’ That lizard thing? Then a good, interceding friend confirmed this, having over many months fought through something similar after undergoing a brain operation. We both agreed that overcoming through trusting Jesus, hanging in there, staying cool and waiting patiently can indeed take some time – Ephesians 6:12 (above)! Well, I just stared amazed! He’s aware of our ministry commitments and believes in the New Testament command to love. (He can be funny, asking for prayer for ‘his’ footie team, The Cats, to win. But he also says sincerely, ‘Robert…there was a time when the medical profession really looked after ministers!’). Evidently the brain’s limbic system (a complexity of nerves and networks) has been regarded as the seat of emotion, addiction, mood, and lots of other mental and emotional processes. Evidently the brain’s limbic system (a complexity of nerves and networks) has been regarded as the seat of emotion, addiction, mood, and lots of other mental and emotional processes. 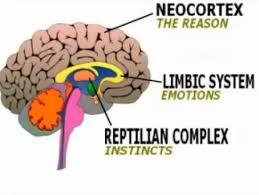 Regarded as an ancient lizard the reptilian complex is much more powerful than we humans credit it, causing ‘unexplainable behaviours’ with the brain instantly seeking ‘The Groove’ – a place of comfort. But even seeking this groove can get one into trouble as we desire to retreat! We prefer the real groove – trusting God, resting in the Spirit and singing/speaking in tongues, as I did while lying on the operation table! Check out Dr Andrew Newsberg’s findings regarding frontal lobe brain activity when Spirit-baptised Christians worship (pray/sing) in tongues – http://www.charismanews.com/culture/54321-stunning-evidence-shows-the-science-behind-speaking-in-tongues?utm_source=Charisma%20News%20Weekly&utm_medium=email&utm_content=subscriber_id:1160140&utm_campaign=CNO%20weekly%20-%202016-01-11. 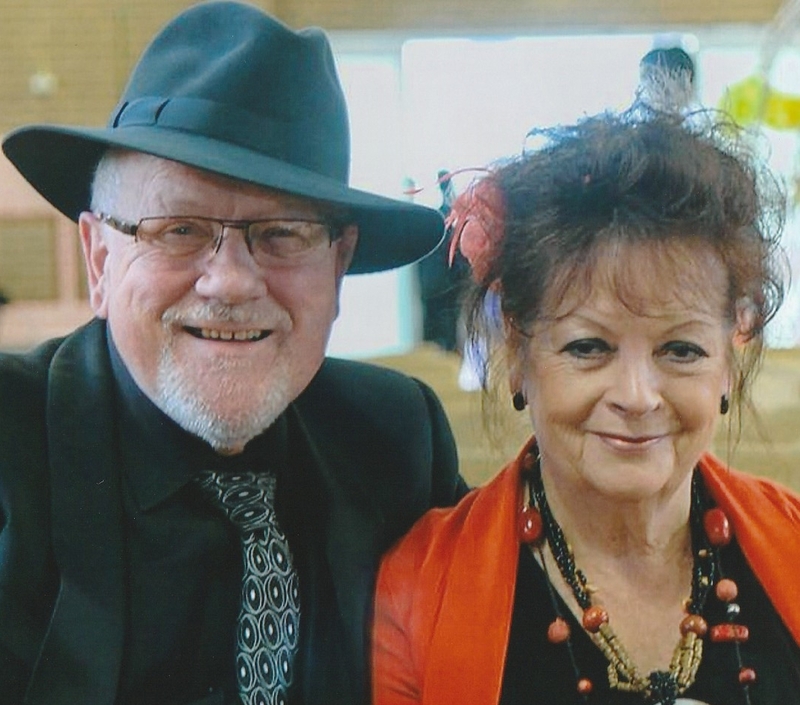 It’s great that I have Maureen, my wise, strongly spiritual wife to assist me back to normalcy, to back me and partner me as together we continue pursuing our ministry despite this prolonged recuperation time and new discoveries. Also that we have loving praying friends including good doctor contacts – and the great comforter, the Paraclete, the Holy Spirit (John 14:26). But – getting back to the father of lies – that real lizard that 2 Corinthians 11:3 and 14 describes as so crafty to have deceived Eve and who even disguises himself as an angel of light – we’re continuing to work through our circumstances by proclaiming that Jesus is still in charge and all will be well. That our God doesn’t cunningly lie or deceive. That he speaks truth and we can believe strongly in Jeremiah 29:11 and our future in God. We continue praying together with Bible meditation, speaking and singing in the spiritual gift of tongues, refusing to be locked down by Satan’s lies and think outside the box, trusting God completely, enjoying every day come what may (plus caring, supportive friends) … this sees us forging ahead! What has God said to you regarding 2016? Hang onto it, not to any reptilian lie from Satan! God also gave us a particular word last year about 2016 – ‘This’ll be a year of sorting out.’ That means the intervening Holy Spirit sorting Christians out, getting rid of hindering rubbish both in the church (*see Dr Jim’s Biblical Perspectives series) and in our lives and ministries. Links: Feature – Andrew Corbett’s God’s Plans and You / Focus – Carol Round’s Commit Your 2016 Plans to God / Inspirational – Brian Bell’s There Must be Something Better Than all This / Opinion – Paul Morgan’s 2016! – A Good Time to Surrender and do Something for God! This is a fascinating report about the brain and spiritual life. I’m encouraged to recognize that panic feeling and rise above it. Thanks, Robert and Maureen! (See also Hope’s Pingback notation below). Pingback: Speaking in Tongues Medical Study Proves Holy Spirit Praying | Lift Jesus' Cross!